AN intimate live, acoustic show with America's own Kris Kristofferson is heading to Gladstone Entertainment Centre on April 22. The announcement comes after the release of the 76-year-old's new album Feeling Mortal, one of his most brilliant works so far. Fans can anticipate hearing some of Kristofferson's hits such as Me and Bobby McGee, Help me Make it Through the night, and For the Good Times. The singer-songwriter's honest lyrics and raw sound make him one of the best in the business. 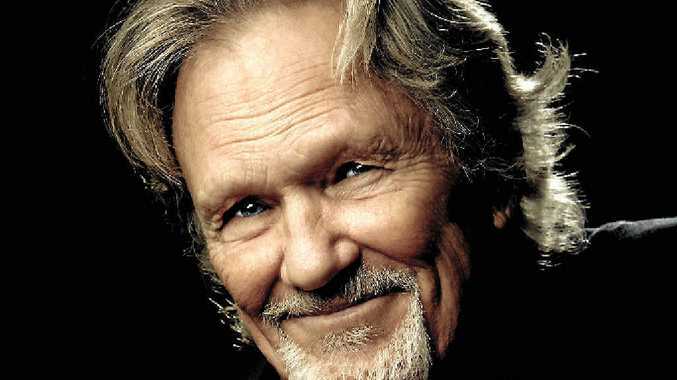 This will be a cracker of a gig, so don't miss your chance to see Kristofferson in the flesh. Tickets are $85.25 for an A Reserve seat and $73.90 for a B Reserve. Go to https://tickets.gladecc.com.au for more details.